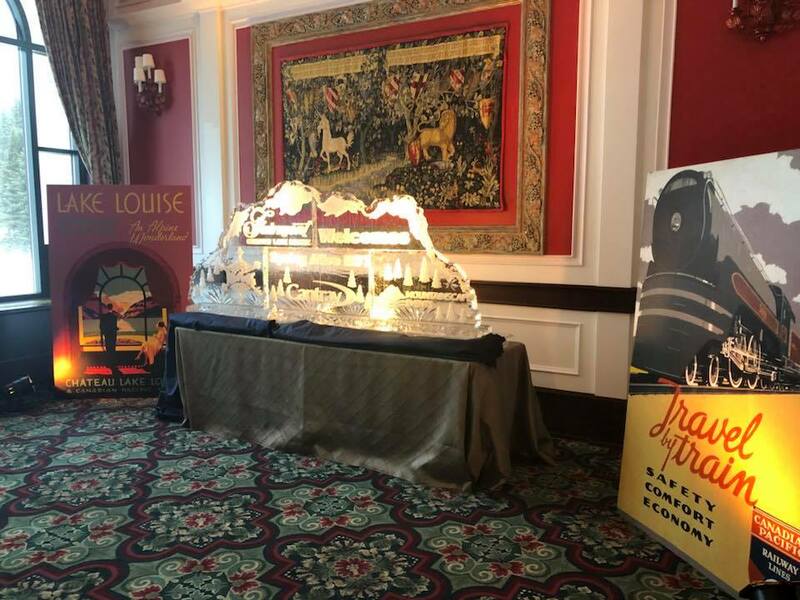 Here's a little sneak peek at a recent event in Lake Louise we designed. This heritage property celebrated its amazing history with this gorgeous, eclectic table and vintage style decor. 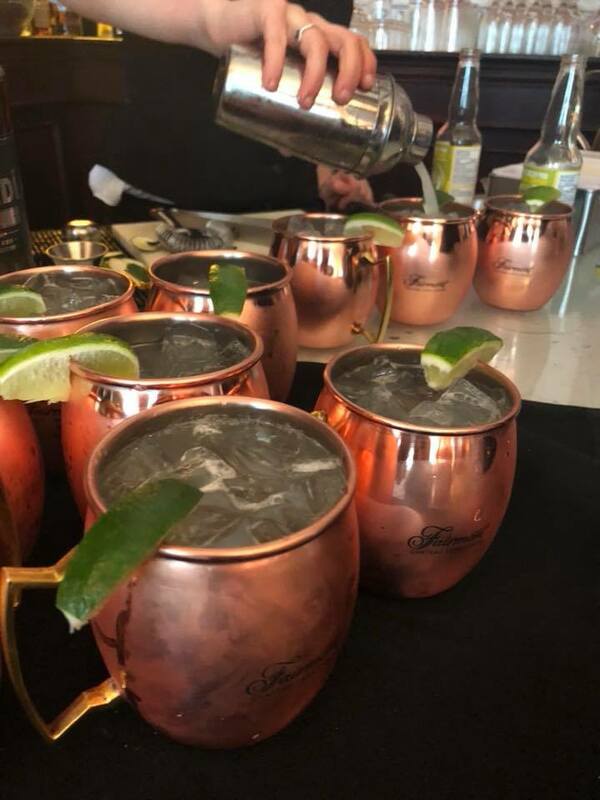 Some of our favourite elements of this event were the amazing custom ice sign that welcomed guests to the event, custom cocktails in gorgeous copper mugs, and the incredible vintage signs that decorated the room. 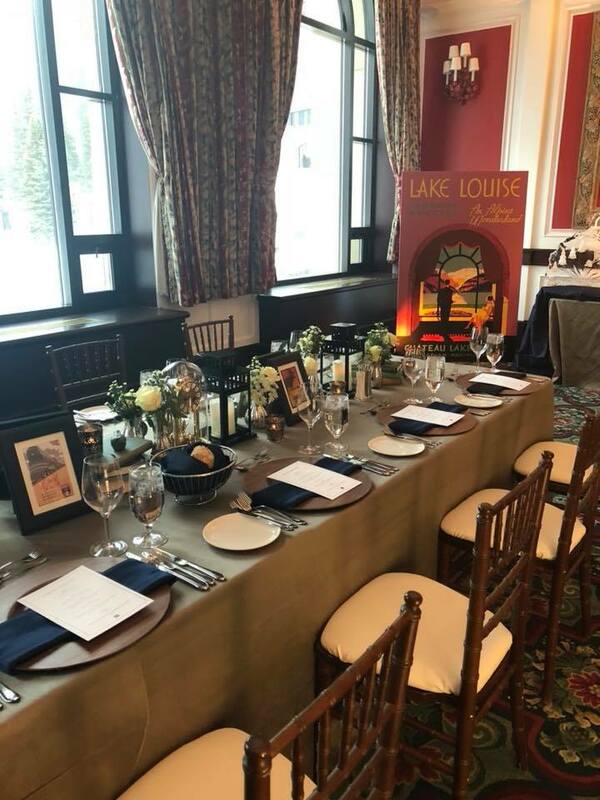 We also love the dark and cozy colours used in the decor, especially throughout the table setting - navy and olive green accented with wood created a colour scheme that worked beautifully with the Chateau Lake Louise and with the gorgeous natural beauty of the mountains. We know it's not a full look at the event but we hope it's enough of a sneak peek to give you some great ideas and inspiration! 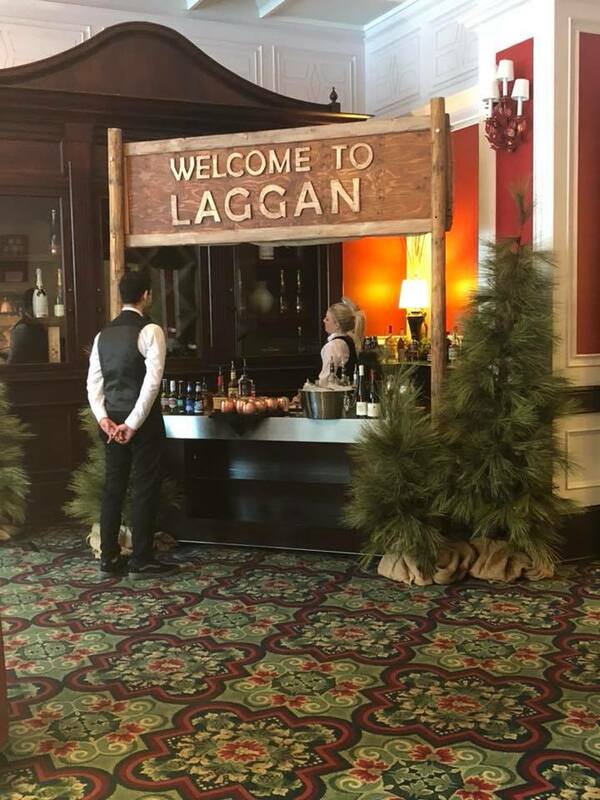 Corporate events and meetings held in Banff and Lake Louise are always elevated by the amazing nature of the location, the beauty of the mountains and the incredible sense of adventure that comes along with everything. As Banff locals, we can help you pull together all of the best venue choices, and help you design an extraordinary event that won't be easily forgotten. If you'd like to know more, please get in touch today. Want to elevate the food at your next event? We have some fun and creative ideas here and we an help you find the right venue to handle your food requests.